Since completing her studies on the violin and baroque violin with Remy Baudet, Jan Hulst und Alda Stuurop, Arwen has specialised in performing on period instruments. She performes on the violin, as well as on the viola with the ensemble Rabaskadol, which is specialized in Renaissance-music and performes in Germany and the Netherlands. 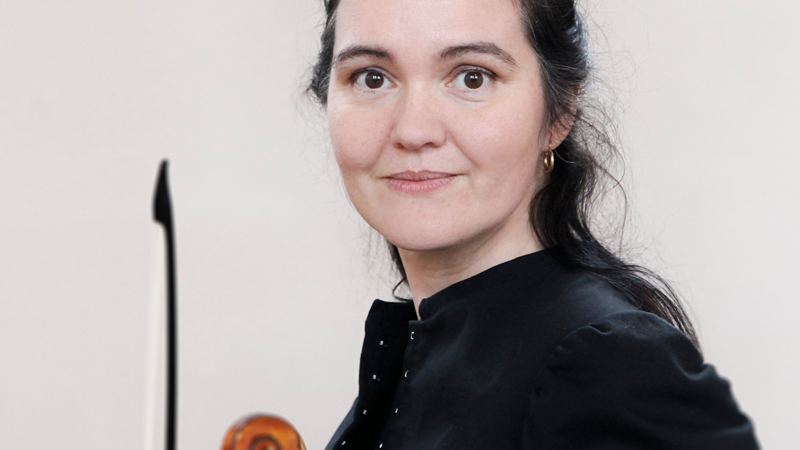 Until 2013 she had the musical leadership of the “Zutphens Barok Ensembles”, at the moment she is concert - master at the “Collegium Instrumentale Eindhoven” and the “Europaen Baroque Orchestra Le Chardon”. Arwen played concerts for 10 years with the “Barokensemble De Swaen”, during this time, she was also responsible for the musical programmes of the ensemble. At the moment Arwen is freelance musician, playing violin, viola and viola d’amore with several dutch Baroque Orchetras, such as Florilegium Musicum, Concerto d'Amsterdam and Musica Poetica. She teaches baroque violin and ensemble. She regularely performes with the harpsichordist Tilman Gey, in their concerts Tilam Gey quite often uses a historic Tafelclavier. Arwen has a deep love for the viola d’amore and its Repertoire, which she performes regularily for a broad audience.